Thick curtains: Add another layer of curtains or replace the lighter ones with heavy curtains so no chilly winds can come inside through the windows. The heat will also not escape out this way. Portable convection heater: The heat insulators may not be sufficient to warm the entire house. Hence, it is wise to invest in a portable heat convector which you can place according to your needs. Keep the floors covered: Wooden and uncovered flooring tend to get very cold during winters. Thus, you can invest in rugs and carpets to keep your feet warm while walking across the rooms. Plug all open spaces: If there is an unused fireplace or any other such openings around the house, seal them with bubble wrap or a thick cloth so the heat stays inside the house. It also shuts out the incoming cold air to a great extent. Check draughts: Window and door draughts are the easiest places from where chilly winds may enter the house. Traditional ways of stuffing woolen socks or rolled up rugs to check these draughts can help in great measure to keep out the cold. Make space: Check if any furniture is blocking the heat insulators. Thoroughly clean the vent of these insulators so the entire room is heated evenly. Use blankets: You can spread thick blankets on the couches and beds to enhance the feeling of warmth in the house. These blankets add to the coziness of the weather. Electric blankets are also available for extra heat and warmth. Cracks and Leaks: Check for wall cracks or broken door/window paneling. Ask the landlord to get these fixed immediately so heat doesn’t escape the house. For more tips on preparing your rental home for the winter season, feel free to contact Lone Star Realty & Property Management, Inc. at (254) 699 – 7003 or visit our office at 1020 W Jasper Dr, Killeen, TX 76542. When you are hunting for a rental home, there are many things that will help you arrive at a logical decision. When there are a number of choices and you are confused between deciding on the perfect one, take care of the following points to choose the most ideal property suiting your pocket and requirements. Set a budget: It is important to set an upper limit for how much rent you can pay every month. Getting lured by a property and agreeing on a rent that is above your budget may not be a good idea in the long run. You should also determine beforehand the size and other features in the house that you will settle for. Research: Research the neighborhood to determine if the asking price of the landlord is fair. A good way to do this is to find out the price of a similar property which was rented out in recent past. Considering other factors that are essential for you like distance from work, climate of the place, proximity to public utilities, limit your research to the area that you like the most. Additional costs: In addition to the monthly payout, you need to consider the additional costs involving documentation, taxes, property maintenance etc. Ask the landlord for all the monthly overheads and accordingly decide if the place will be suitable to your needs. Inspect every property: Always insist on having a walk through the property. Thoroughly check the walls, electrical appliances, kitchen sinks, bathroom fixtures etc. and bring every issue to the notice of the landlord so he can get it fixed before you move in. Hire an expert: One may also consider hiring a real estate agent who can help you shortlist the most suitable rental home. He can also assist you with all documentation and operations to ensure the process is carried smoothly. 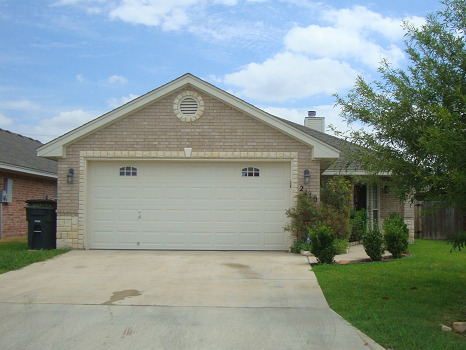 We, at Lone Star Realty & Property Management, Inc., can help you find a rental home in Killeen, TX. Our real estate agents will analyze your requirements and shortlist homes that suit your budget and needs. For more information, you can call us at (254) 699 – 7003 or visit our office at 1020 W Jasper Dr, Killeen, TX 76542. The real estate market in Killeen, TX has witnessed a tremendous increase in demand for pet-friendly homes in the last decade. Thus, by letting your rental home to tenants with pets, you will not only open your property to a wider pool of tenants, but also encourage them to stay for a longer duration. Making your rental home pet-friendly requires a lot of deliberation. You should make flexible policies and formulate a ‘pet agreement’. Get this agreement duly signed by your tenants along with the lease documents before they move into your home. Increase in number of tenants: By allowing pets on your property, you can increase the number of potential tenants. This will give you more options to choose the most suitable occupants for your property. Also, due to the limited number of pet-friendly rentals available in Killeen, you can significantly increase the demand of your property in the market. Financial benefits: You can increase the returns from your investment property if you have a pet-friendly rental. Monthly pet charges and rent make up for a good amount of money. Pets are considered as a part of the family and the tenants are always willing to find the best place to live with them. Get a pet inspection fee: As a landlord, you can charge a one-time pet inspection fee from your tenant. The inspection includes registering the pet with the property, clicking the pet’s picture, keeping copies of the veterinary records and taking a DNA sample. State the terms and conditions: Clearly mention in your pet agreement about the category of pets and breeds you will allow in your property. You also need to specify the number of pets you will permit. Be aware about the laws: Every state has its own laws regarding pet-friendly rentals. You must be aware of these laws in order to avoid any trouble in the future. Educate yourself about how much ‘pet deposit’ you can impose on the tenant. Pet-friendly interior: You can have pet-friendly flooring in your home that can be easily cleaned and is resistant to scratches. For instance, hardwood flooring or ceramic tile flooring is a good option if you have a dog. We, at Lone Star Realty & Property Management, Inc., can help to make your rental home pet-friendly. For more information, you can call us at (254) 699 – 7003 or visit our office at 1020 W Jasper Dr, Killeen, TX 76542.